Vena, makers of sleek, stylish and functional mobile covers and accessories, today announced a family of new magnetic smartphone car mounts designed for safe and unobstructed hands-free driving. The new Vena car mounts turn your smartphone into a satellite navigation system, music center and hands-free phone. When combined with the rugged Vena vCommute case, users have the perfect tandem to protect most smartphones when driving and for daily use, including the new iPhone X.
Vena car mounts include four new designs for dashboard and vent mounting. They offer a better and less distracting solution compared to traditional cradle car mounts because they do not impede access to the side buttons or the recharging port. 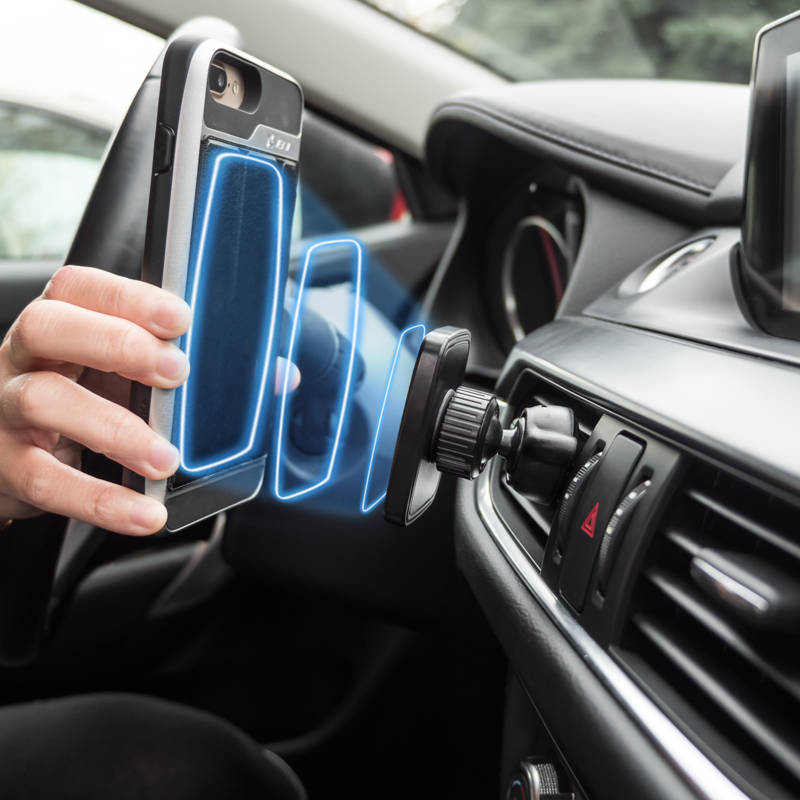 Powerful N45 magnets produce a strong magnetic force that will keep your phone securely attached to the magnetic dashboard suction or air vent mount. Included are two metal plates and a protective film and will work with any flat backed phone or case.